As we enter the month of May I’d like to highlight the Third UN Global Road Safety Week, 4-10 May, and its campaign #SaveKidsLives. The campaign calls on leaders to take actions addressing the plight children face on the roads. It calls for action ensuring children are safe on the roads and for the inclusion of road safety in the post-2015 Sustainable Development Goals. For this week, children created a Child Declaration for Road Safety stating what they need in order to be safe on the roads. We are collecting signatures supporting this. During Global Road Safety Week, AIP Foundation and organizations across the world are delivering signed Child Declarations to key policymakers and leaders, calling on them to take strong action in response to this growing epidemic. 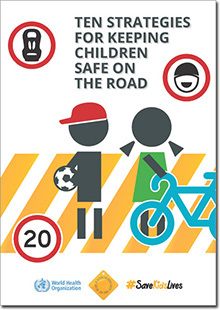 You can take part to keep children safe on the roads. Click www.savekidslives2015.org to read and sign the Child Declaration and call on leaders to Save Kids’ Lives. Co-authored by RMIT Vietnam and AIP Foundation, “But I AM normal: safe? 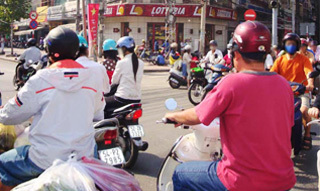 driving in Vietnam” has been published in the Journal of Social Marketing. The paper aims to elucidate perceptions of safe driving and social norms in relation to driving motorcycles in the Vietnamese context. The research highlights social dynamics in relation to how safe driving habits are established and supported within the social context. 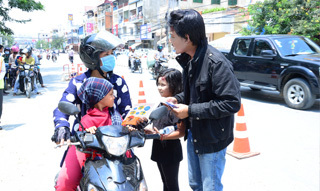 PBS, an American public broadcaster, in collaboration with the Pulitzer Center on Crisis Reporting, has featured the article “Helmet use a no brainer in Cambodia’s rapid motorization” and aired a supporting segment during PBS NewsHour. The article and video report on how the government and traffic safety advocates, including AIP Foundation, are working to make helmets accessible and enforce compliance for all riders. Read the Pulitzer Center report here. Watch the PBS NewsHour video here. The World Health Organization recommends ten road traffic injury prevention strategies for protecting children. 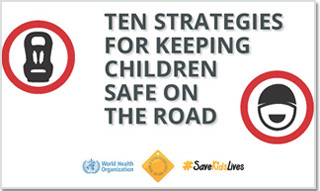 "Ten Strategies for Keeping Children Safe on the Road" is published leading up to the Third UN Global Road Safety Week. AIP Foundation attended the Asia Pacific Road Safety Conference organized by The Asian Development Bank (ADB), Global Road Safety Partnership (GRSP), and International Road Assessment Programme (iRAP). The conference focused on some of the serious gaps in road safety in countries across the Asia Pacific region. 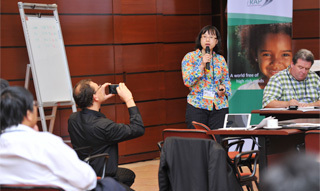 Ms. My Linh Nguyen, International Partnership Director of AIP Foundation, introduced the Walk Wise project in China to participants. National Traffic Police (C67) and National Traffic Safety Committee (NTSC) launched the National Enforcement Action Plan for child helmet use. The Action Plan is a part of the larger National Child Helmet Action Plan, which aims to significantly increase child helmet-wearing rates. An “enhanced police enforcement” week took place from April 6-10, during which police and public security forces patrolled schools for compliance with the child helmet law. Reminders shifted to traffic penalty fines on April 10. 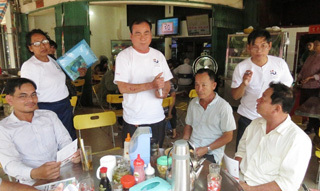 Extracurricular activities were conducted at Truong Dinh Primary School on April 4 with the participation of Abbott volunteers. The volunteers facilitated games and activities and distributed prizes to students. Extracurricular activities continued through April 25 at other project schools. 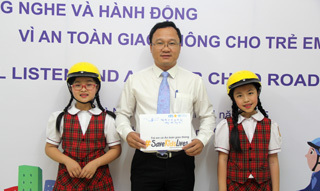 Billboards were erected in Vietnam’s major cities as part of the National Child Helmet Action Plan’s communications campaign. 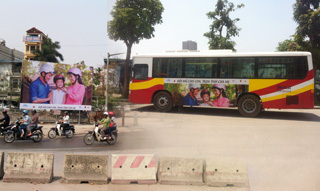 On April 7, more than 1,000 advertisements were put on buses in Hanoi. The billboards and bus ads tell riders to “Love your child. 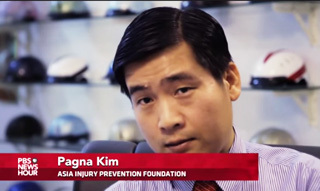 Provide a helmet.” and feature the family from the related PSA now airing in Vietnam. 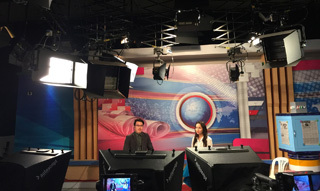 Television stations Voice of Vietnam and HTV9 interviewed AIP Foundation this month about the National Child Helmet Action Plan. AIP Foundation discussed their role as a main coordinator and discussed the plan's components, including public awareness-raising and mass media communications on child helmet use, school-based education, and increased police enforcement. AIP Foundation President Mr. Greig Craft presented at Ford Driving Skills for Life 2015 kick-off press conference event. This year, the program aims to train a total of 1,500 drivers in seven cities and provinces. By the end of 2015, the program will have trained 10,000 drivers in its eight years of running. 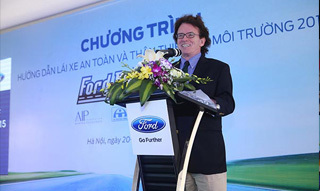 Ford Vietnam will cooperate with Universities in Hanoi and Ho Chi Minh city to organize classes that teach basic driving safety knowledge to students. The Embassy of Sweden partnered with AIP Foundation to distribute nearly 500 helmets to Phan Van Tri Primary School in Ho Chi Minh City. Consisting of key messages on traffic safety, educational games, and music performances, the event aimed to support and amplify the National Child Helmet Action Plan. Special guests included Swedish Ambassador to Vietnam Camilla Mellander and musician and Good Will Ambassador Thanh Bui. 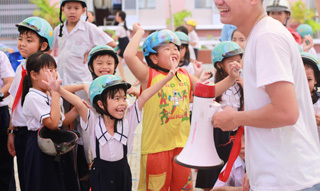 AIP Foundation coordinated with Ai Quoc Primary School and organized a second extracurricular activity event themed “Children with helmets,” supported by ARRB. More than 300 parents attended the event, with a total of 1,200 participants. 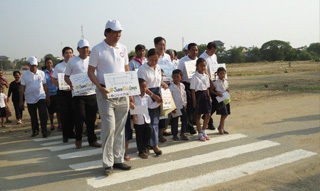 Parents participated with their children in road safety activities. In response to the UN Global Road Safety Week themed “Children and road safety,” the National Traffic Safety Committee launched a national plan advocating for strengthened road safety with a special focus on children. The Plan, No. 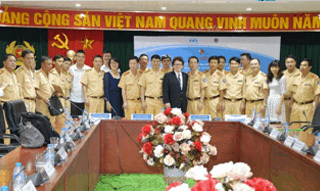 142, implements road safety recommendations made by the World Health Organization, calling on provinces to take action and raise public awareness of children’s road safety across Vietnam. Spirits were spotted in the streets of Phnom Penh. Stopping traffic and speaking road safety messages, they were visiting not to scare, but to protect the public. Victims of road crash head injuries, the spirits were reminding drivers to protect their lives by ensuring they and their passengers always wear helmets. Watch the TV Commercial here. AIP Foundation conducted a district-level helmet enforcement action plan workshop under “Head Safe. Helmet On.” for multiple target districts in Phnom Penh, Kamong Speu, and Kandal Provinces. Over 100 traffic police from the district-, provincial-, and national-levels participated. In partnership with Chamkar Morn District Office, AIP Foundation also facilitated a training on Commune-wide activities with 36 participants from three communes of Chamkar Morn District. The training discussed how community-based road safety working groups can educate and encourage the community to wear helmets. 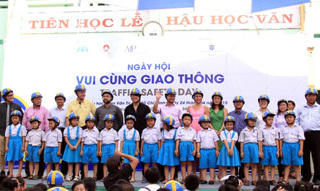 AIP Foundation supported Cambodia’s National Road Safety Week held from April 7-14 by promoting helmet use through its school-based programs and advocating for leaders to commit to children’s safety. 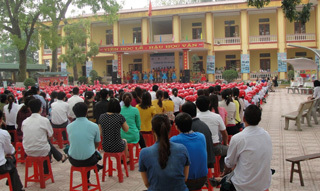 AIP Foundation donated 140 helmets to students in Kampong Speu Province during the week. AIP Foundation participated in a TV round table discussion and a radio talk show centered around the communications campaign, "Protect your passengers' lives. Make sure they wear helmets." during National Road Safety Week. 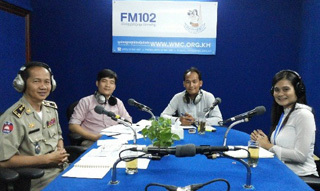 The radio talk show was aired live on FM102 while the TV round table discussion was aired on the National Television of Kampuchea (TVK). The discussions aimed at providing messages to drivers, especially passengers, to always wear helmets when on motorcycles. 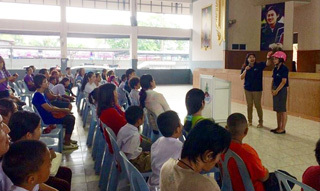 AIP Foundation attended a parents meeting at Intarumphan Anusorn School in Samut Prakarn, supported by Denso, late March. The meeting reminded parents that their child’s helmet use is crucial each and every time they are on a motorcycle. As part of The 7% Project development, AIP Foundation conducted a series of small experimental trials throughout Bangkok from November 2013 to January 2014 funded by the FIA Foundation and the Road Safety Fund. These trials tested new and innovative approaches to increasing child helmet use, including “pop-up” child helmet retail kiosks and helmet banks. 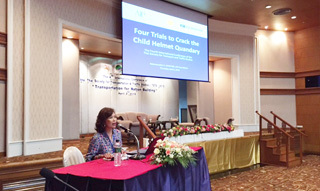 Ms. Ratanawadee H. Winther, Chairperson of AIP Foundation in Thailand, presented the “Four trials to crack the child helmet quandary” paper at the 4th International Conference of Thai Society for Transportation & Traffic Studies in Bangkok. The paper is co-authored by AIP Foundation and Save the Children Thailand, sponsored by the Road Safety Fund. 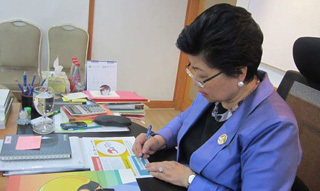 AIP Foundation in Thailand and Save the Children met with Dr. Pusadee Tamthai, Deputy Governor of Bangkok Metropolitan Administration (BMA) Thailand to further discuss The 7% Project. Dr. Pusadee Tamthai signed the pledge supporting The 7% Project to ensure youth always wear helmets while riding on motorcycles. Street Wise, AIP Foundation’s newest road safety project supported by Chevron Thailand Exploration & Production, Ltd., promoted safe road behaviors during the Songkran New Year Festival. Chevron volunteers were present at police checkpoints to distribute hand fans with important road safety messages to those who passed by. Representatives introduced road users to the project and encouraged safe road behaviors during the Festival. Government officials, including Mr. Chaiwat Sirinupong, Vice Governor of Songkhla Province, also visited checkpoints to encourage safe road measures. Mr. Sirinupong joined AIP Foundation in supporting the #SaveKidsLives campaign. 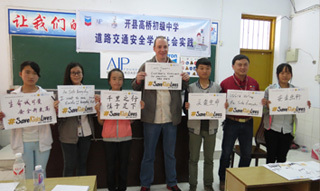 Walk Wise project, supported by Chevron, organized a "Road safety in youth's eyes" photo exhibition activity with Gaoqiao Middle School in Kai County. The project educates youth through taking photos of incorrect road user behavior. Around 200 students participated in the exhibition event along with representatives from Kai County's Education Department, Traffic Police Department, Coordination Office, Youth League Committee, and Chevron. Students from Fenghuang Primary School joined road safety extracurricular activities at a park in Kai County. Students and parents took part in various road safety games, which attracted positive attention from other children in the park. The Bloomberg Initiative for Global Road Safety 2015-2019 Tanzania project was launched during a stakeholder meeting this month. 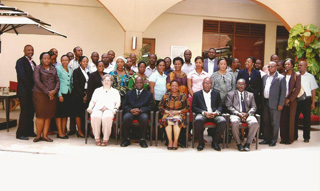 AIP Foundation, operating under Helmet Vaccine Initiative- Tanzania, was invited by the Ministry of Health and Social Welfare to attend as a key stakeholder.